Says no to "cheap, cheap phones"
HTC has revealed its plans to focus on the mid- and high-end mobile markets after its CEO confirmed the company wasn't going to pursue low end handsets. Speaking to the Wall Street Journal, HTC CEO Peter Chou explained that the Taiwanese manufacturer favours the more premium end of the market, with the budget end likely to damage its brand. Chou said: "We insist on using better materials to make better products that offer premium experience. Many consumers like that." "Don't want to destroy our brand"
Chou confirmed that HTC will not look to produce "cheap, cheap phones", as he believes at the lower price point the firm will be unable to produce quality handsets – "we won't have good products". 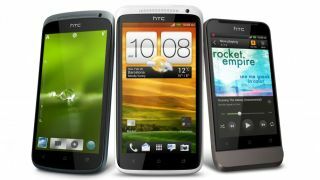 HTC hasn't completely given up on the budget market though, with the recent arrival of the £140 (around $215) HTC Desire C, a replacement to the popular Wildfire S.
When questioned on HTC's decision to shift its focus away from cheap phones, and thus the bustling budget market, Chou said: "we think our strategy is successful." We hope Chou is right, as HTC has struggled in recent months, losing ground to the likes of Apple and Samsung in the smartphone turf war and seeing its earnings running into the red.